sailboat. 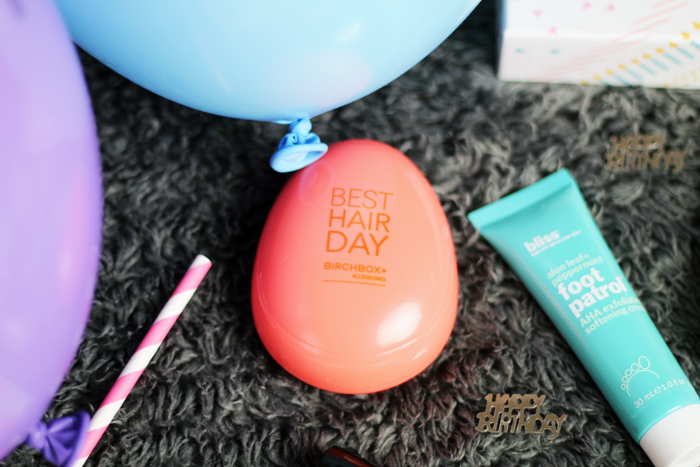 : Happy 5th Birthday Birchbox! 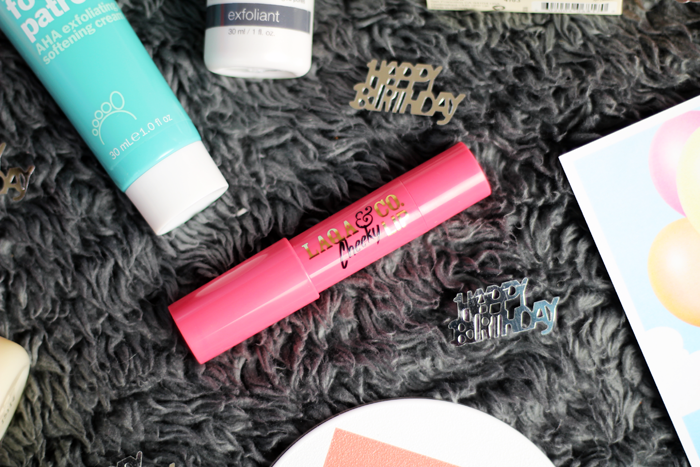 It's Birchbox's 5th birthday and they're celebrating in style! I can genuinely say that it has been a real pleasure receiving my Birchbox each month. Some boxes have been okay, some have been brilliant and I'm very happy that the original beauty subscription service is still very much in the game. There are now over 1 million Birchboxers worldwide and I think that's an accomplishment to be really proud of! 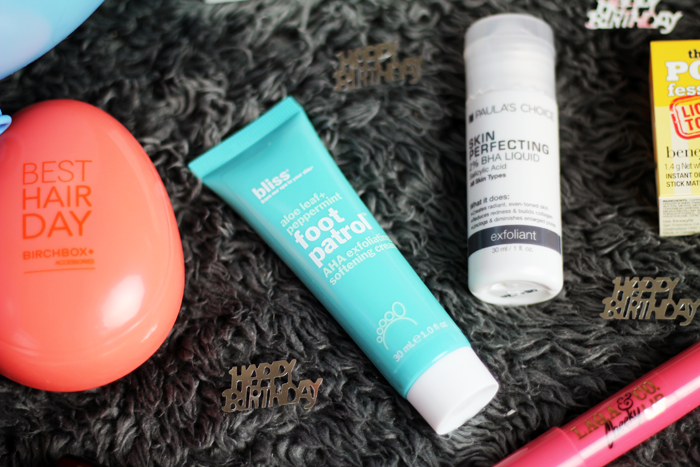 So Happy Birchday Birchbox, here's to many more years to come! This month every product hails from the USA, the birthplace of Birchbox, and I think that's a nice touch. I'm really excited to see something from Paula's Choice, the skincare brand I've heard so much about but never had the opportunity to try anything from, and I'm even more excited to see it's a liquid exfoliant. I've had a love/hate relationship with them in the past, but I'm looking forward to seeing how this compares to my Pixi Glow Tonic, a product I initially thought I wouldn't repurchase but now forms a solid part of my skincare routine. 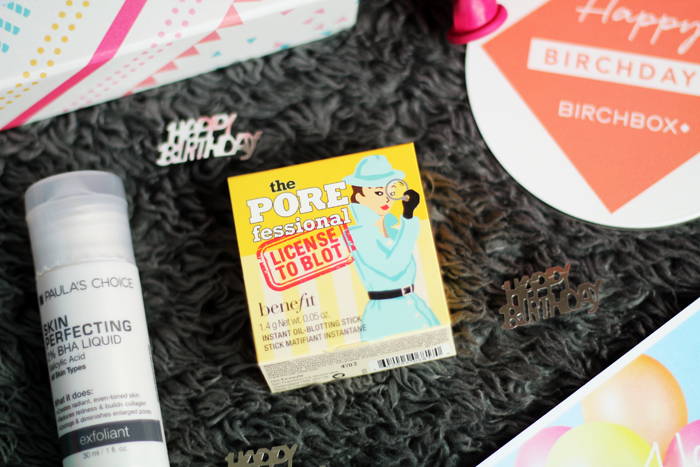 Benefit's License to Blot isn't something I'll find a use for, but I will certainly be passing it along to someone who will appreciate it. The Bliss Foot Patrol doesn't initially excite me, but as the cooler months approach and I like to spend a little more time on my beauty routine (hello cosy pamper sessions!) I'll certainly give it a try. 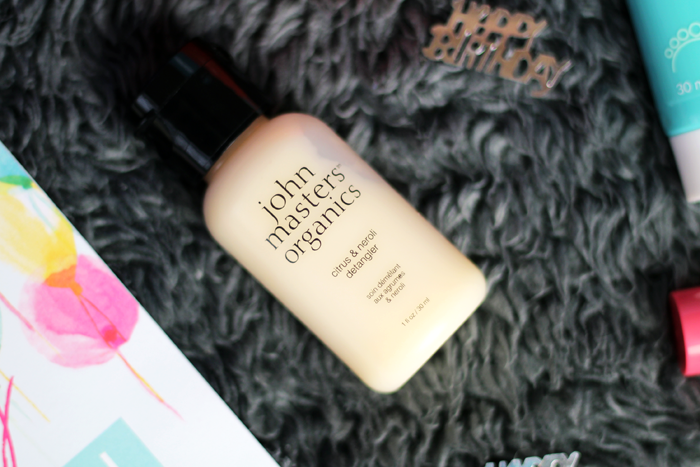 The John Masters Organics detangler smells so lovely and when paired with the Birchbrush, my locks will hopefully be super smooth and completely knot free very soon! Last but not least is a very wearable lip pencil that can also be used on the cheeks for a pretty pink flush. Something I will certainly get a lot of use from, the twist up pencil crayon packaging is fuss-free and handbag friendly - the perfect combination for on the go. All in all, this month's box gets a big thumbs up from me! Next month Birchbox will be teaming up with Stylist magazine and for the first time there will be the chance to opt-in for an exclusive Birchbox curated with guest editor Joanna McGarry, Stylist's associate beauty editor. One to look out for, I think! Are you subscribed to Birchbox? 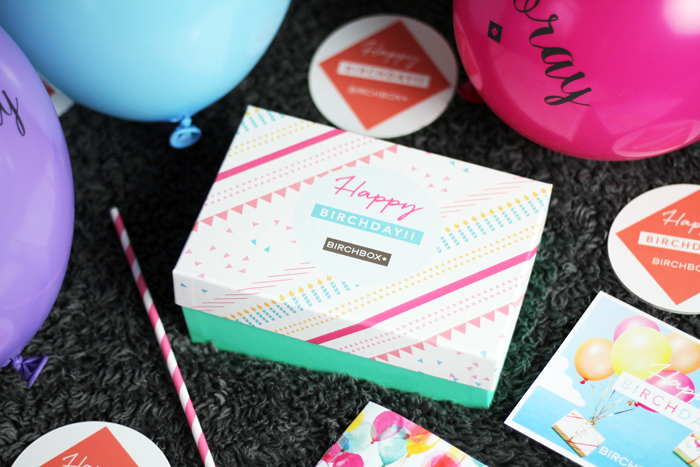 What do you think of their birthday box this month? 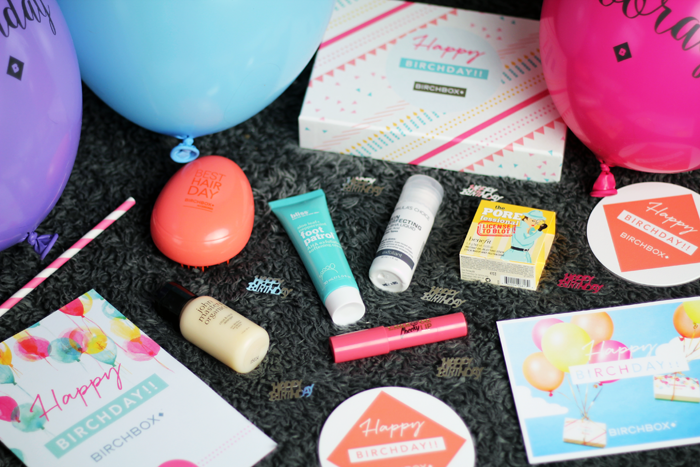 Happy Birthday to Birchbox! In London this month they are letting you make your own and I'm so tempted to go and do it. There are some really good bits in it this month! My box should come in very soon, now I'm so excited! Birchbox sounds so exciting right! I still really like the special designs for certain boxes. 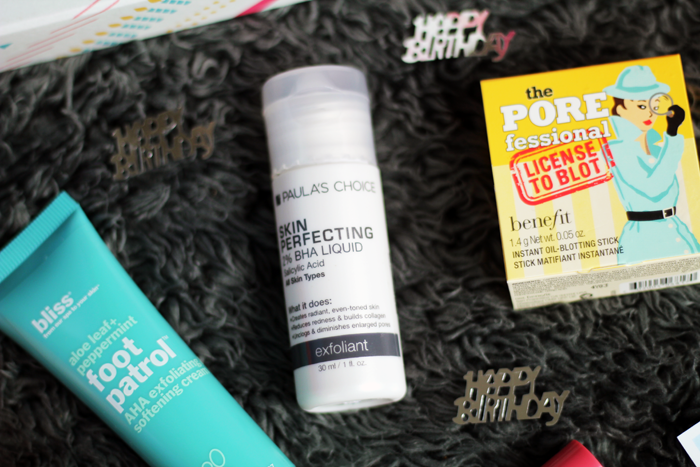 Beauty editor curated boxes tend to always be quite good too! That Cheek & Lip Pencil looks so, so cute! 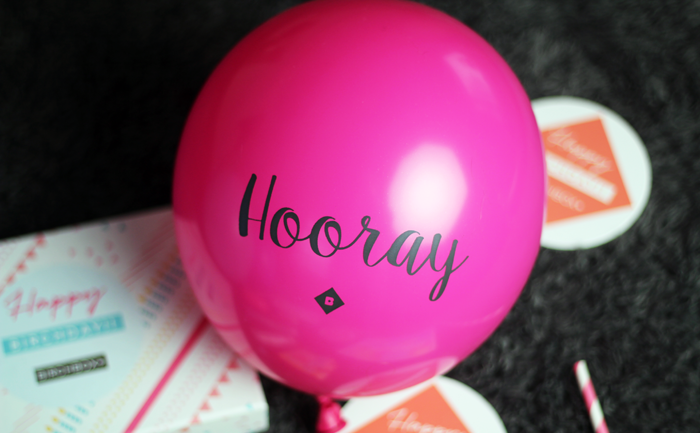 Wow this 5th birthday box is just full of amazing goodies! Looks like on of their best boxes yet and the balloon is a very cute touch. The beauty subscription boxes always remind me of those goodie bags you used to be able to buy as a kid. You never knew what treats and toys they'd be filled with. I've never actually signed up to one of them though as I'm not sure I'd get through all the products! Oooh I really love the sound of the Paula's Choice Liquid Exfoliant - I'm meaning to repurchase Pixi Glow Tonic but now I'm wondering whether I should hang on and try this instead... Decisions, decision! !